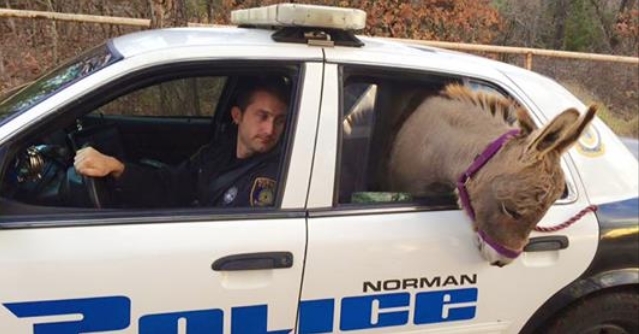 A police officer in Norman, Oklahoma, got a very strange call on Tuesday about a suspicious individual wandering around a local neighborhood — but not just any individual ... a donkey. 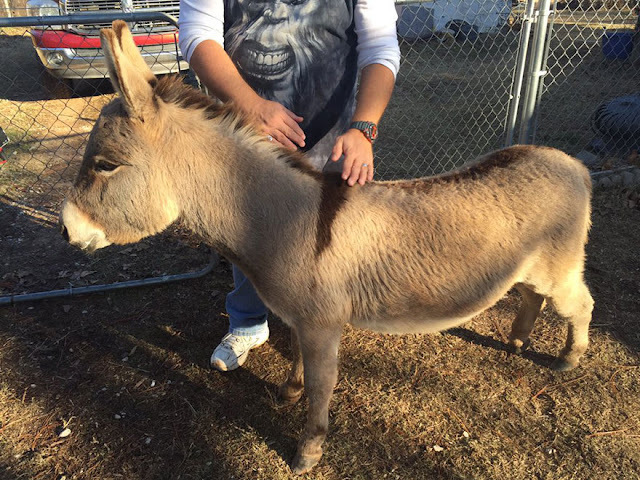 The seemingly lost donkey, nicknamed Squishy, was found along a busy road, and the concerned police officer didn't want him to get hit by oncoming traffic. So, he gave him a ride. 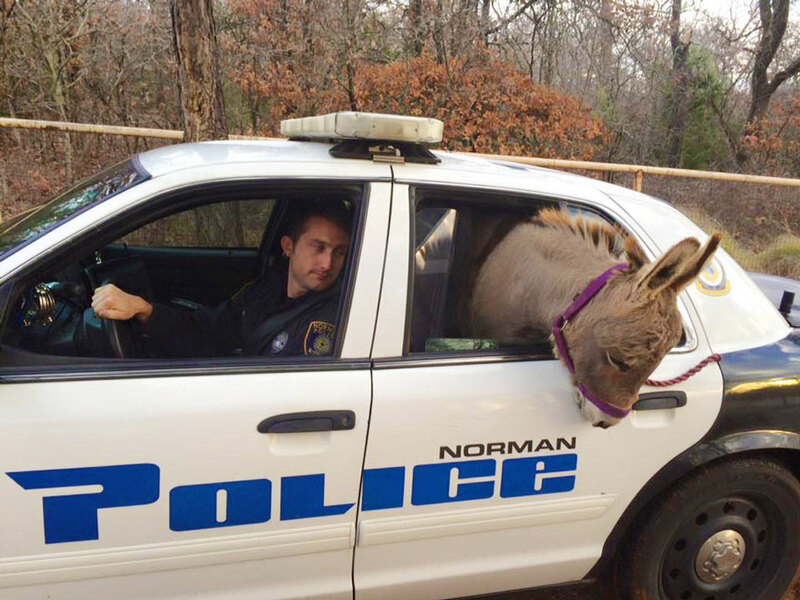 Seeing a donkey in the back of a police cruiser is certainly a sight to behold for bystanders, but it sounds like it was even more of an adventure for the officer driving the car. Officer Kyle Canaan told CNN that Squishy made himself very comfortable — and went to the bathroom in the back of his car. Oops. The woman who found Squishy was kind enough to let him stay on her property until his real owners could be located. Responses to "Police Officer Couldn't Stand The Idea Of Donkey Getting Hit By Traffic"
my husband did the same thing with a baby cow. Bless this officer.